The New Zealand regulatory regime relating to financial advice is changing substantially in the near future. The changes are a genuine step in the right direction and for the most part will result in better financial advice outcomes for Kiwis. One aspect of the current regulatory regime is that Authorised Financial Advisers (of which there are approximately 1,800: a small fraction of people who can call themselves “financial advisers”) are subject to a Code of Professional Conduct. The new regime will have a Code of Conduct for Financial Advice Services that will apply to all “financial advisers” (tens of thousands of people). The Code is being prepared by a working group consisting of various senior people with experience in the financial services industry. It has been noted in industry publications that very few of them have direct experience providing financial advice, and that while some of the larger financial product institutions are represented in the working group (for example, AMP and ASB), there isn’t anyone on the working group who represents independent financial advisers. My hope and expectation is that the Code will still be focussed on good outcomes for Kiwis at large, and not the interests of financial institutions. But who knows. It’s the reason we need to be engaged and make submissions in relation to this process. I made a submission to the Code Working Group on Wednesday 18 April 2018. For further reference and context (and to make a submission of your own: submissions at the end of April), check out the relevant page on the MBIE website. For reference, my submission is below. 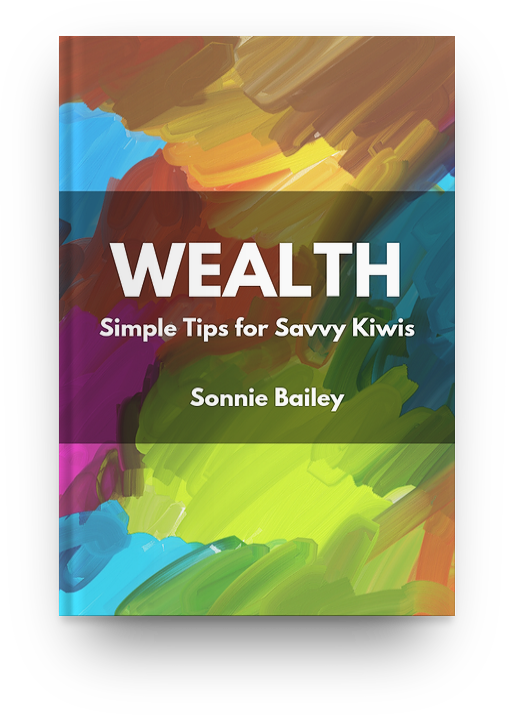 It will be available on the MBIE website soon enough. Thank you for the opportunity to make a submission in relation to the upcoming Code of Professional Conduct for Financial Advice Services. My submission does not address all questions set out in the Consultation Paper dated 12 March 2018. Instead, I am going to focus on a few key areas where I think the new Code could compromise availability of advice, and add unnecessary compliance costs, with no countervailing benefits to Kiwis (specifically, in an increase in the quality of advice they receive). I am an Authorised Financial Adviser (AFA), operating my own independent financial advice business, Fairhaven Wealth. I provide fixed fee, advice-only services to clients, with a focus on one-off services rather than ongoing engagements. I am a former Australian financial services lawyer. I have worked extensively with financial advice businesses, large and small. I have helped large financial advice businesses create and update their compliance and professional standards policies and advice review/audit procedures. I have reviewed thousands of advice files prepared by hundreds of financial advisers. I have spoken with dozens of financial advisers in detail (meetings of 3 hours or more) about how they operate their businesses and their advice processes. I make this submission without fear or favour. I make this submission against my own best interests. I make it with a special sensitivity to conflicts of interest, regulatory capture, and a distaste for rent-seeking behaviour. I make this submission based on my conscience and what I think is best for Kiwis. I support increasing the educational requirements for advisers who provide services that can currently be provided by Registered Financial Advisers (RFAs). This is a necessary step to providing better advice outcomes for Kiwis. My concerns relate to the proposed requirements for advisers providing “financial planning” services. My comments below relate to the educational requirements for “financial planning” services, as distinct from “product advice” services, as they are distinguished in the Consultation Paper. The proposed required qualifications for financial planning services will restrict availability of advice and impose unnecessary compliance costs on people who want to join the industry, and there is limited (no?) evidence that increasing the educational requirements as proposed will increase the quality of advice Kiwis will receive. Before I go into details, a story. After 9/11, travel became a lot more difficult in the United States. The Transportation Security Agency (TSA) implemented a number of procedures for security purposes. Some of these procedures are probably effective. But many of these procedures weren’t really to make Americans safer. Ostensibly, these pat downs, scans, and myriad inconveniences, had the effect of creating the illusion of additional safety. In large part, these procedures are an exercise in “security theatre”, not security. This is also the case with educational requirements for advisers wanting to provide financial planning services. Increasing educational requirements is an easy way to show that you’ve done something about improving the quality of advice. It will also appease anyone who gives the matter superficial thought (which is pretty much everyone who doesn’t have a direct interest in the matter: regulatory capture doesn’t need to be sinister, after all). And as long as these proposed changes don’t adversely impact existing practitioners (who will be grandfathered), there is little incentive for existing advisers to question the proposal to increase educational requirements. In fact, there are disincentives, because increasing barriers to entry is good for practitioners already in the industry. As a financial services lawyer and compliance professional, I reviewed thousands of advice files prepared by hundreds of financial advisers. I’ve also prepared financial advice for clients in my own business. I can also compare my experience in the financial advice space to other professional services roles, including acting as a lawyer and in a professional trustee capacity. I understand that many of the members of the Code Working Group have not directly provided financial advice. So I want to be emphatic and make something clear that is based on my direct, personal experience. Providing high quality financial planning advice is not that hard. “investment management” – in simple terms: selecting underlying assets, which can, for the most part, be outsourced, whether that be to managers of managed investment schemes or providers such as Consilium. If the members of the Code Working Group are not familiar with this vital distinction, I am happy to expand on it for them. The biggest barrier to providing high quality advice of this nature isn’t lack of education. It is escaping the institutional and commercial pressures that make it hard to provide good quality advice. These include being aligned with financial product issuers and remuneration structures incentivising behaviours that may not be in clients’ best interests. The problems associated with the financial advice industry at this level are largely unrelated to educational standards. The problems are to do with incentive structures and commercial arrangements which have traditionally seen a greater focus on sales than providing quality advice. Increasing educational requirements might create the appearance that the issues with financial advice are being addressed. But the focus needs to be on conduct and quality of advice. The likely effect of increasing educational standards for providing financial planning services is that it will increase the barriers to entry into the industry. Which is great for people in the industry who are grandfathered in, including myself. From the perspective of increasing access to advice, however, it’s terrible for Kiwis in general. It is directly contrary to the legislative purposes of ensuring the availability of advice and avoiding unnecessary compliance costs. Increasing educational requirements has the effect of further embedding the existing issues with the industry: it keeps the “old blood” in and keeps “fresh blood” out. The fresh blood that comes in will be more likely to enter the industry through larger institutions, where they will be inculcated with the institutional and systemic norms that are responsible for the issues currently associated with the industry. It also creates a hurdle for higher level, strategic advice that Kiwis really need, while creating a lower standard for less strategic, product-level advice. If I were cynical I would read this distinction between “product advice” and “financial planning” services – and the associated higher levels of educational requirements/barriers to entry for the latter – as a way of continuing to allow sales-based product advice (which tends to be better for vertically-aligned business models and financial product issuers) to be easier to provide than holistic, client-focused, strategic advice. If I were really cynical (which I’m not, although others could be less charitable), I would point to this distinction as an insidious example of regulatory capture where vertically-aligned business models are favoured over independent advice models. I understand the desire for financial advice to be seen as a “profession” akin to the law, accounting, or medicine. I want this to be the case as much as anyone. But consider there are other professional roles that involve substantial responsibility and fiduciary duties that don’t have mandated minimum educational requirements, such as directorships and professional trustee roles. Higher education standards for this type of advice won’t improve the perception of the financial services industry. High quality advice and high standards of conduct and client care will improve the perception of the industry. In fact, making product advice (which is more likely to be sales-focused) easier to provide than financial planning advice, while removing any regulatory distinction between the types of services, might end up making the industry come across as less of a profession. At least in recent years, engaged consumers have been able to understand the difference between an RFA and an AFA. If you increase educational requirements, you will be making the situation worse in terms of availability of advice and compliance costs. Increasing these requirements is also likely to be a one-way decision. Because once you increase educational requirements, it will be hard to subsequently reduce them. The Consultation Paper points out that the standards being set in Australia and internationally are increasingly being set at a degree level. However, there has not been enough time (and I point to Australia, in particular) to see whether this genuinely results in better quality advice. There are also confounding factors, such as Australia’s recently-introduced Future of Financial Advice regime (which, amongst other things, banned various types of commission and other incentives, and imposed a statutory “best interests” duty) and the direct and indirect outcomes of the current Financial Services Royal Commission, which will (hopefully) influence advice in Australia for the better. In the context of the broader changes taking place in New Zealand’s regulatory regime, there is time to wait and observe the outcomes from other jurisdictions as to whether additional educational requirements for these types of service are really needed. Despite my comments above, I think there is one area where I think advisers who provide financial planning services need to meet minimum educational requirements. And that relates to direct real estate. I believe there is a currently a scandal in plain sight: there is a cottage industry of people who work in the property industry providing “investment planning services” as defined by the Financial Advisers Act, who are not registered to provide financial advice, let alone authorised to do so. If there is an expectation for advisers providing financial planning services to be engaged in relation to direct property, there will be greater incentive and impetus for the conduct of property spruikers to be flushed out. I think the requirement for advisers providing financial planning services to have a Bachelor’s degree in one of the named areas (financial planning, accountancy, business, commerce, economics, finance, or management) is unnecessary. Especially, as I’ve mentioned, for advisers who appreciate the difference between “financial planning” and “investment management”, a lot of the content in these courses isn’t especially relevant. Alternatively, if you are going to insist on advisers having a Bachelor’s degree, I do not think it should be restricted to one of these domains. If you’re going to use it as a hurdle for would-be advisers to demonstrate a capability for the “higher-level thinking necessary to exercise appropriate discretion” (as mentioned in the Consultation Paper), any degree at this level (or higher) should do. Lawyers, doctors, engineers, and science graduates can demonstrate higher-level thinking and an ability to exercise appropriate discretion, even if the degrees aren’t in the named areas. Like many others, I don’t like the phrasing “good advice outcome”. It connotes too strong of a relationship between good advice and good outcomes. Good advice will make good outcomes more likely and bad outcomes less likely, but in an uncertain world, outcomes can never be guaranteed. In particular, terrible advice can lead to great outcomes, and I think it’s important that this sort of advice is seen as terrible advice, even if the client and adviser got lucky and the outcome was good. In the consultation session I attended, much was said in support of using the phrase “good advice experience”. I don’t like this. I’ve seen many situations where clients feel like they are getting a terrific experience from their adviser. But they are not getting great advice, or they are dealing with people who are better at extracting value from clients than creating value for them. I think the focus should simply be on good advice. I don’t think the Code should be especially prescriptive about how conflicts of interest should be managed. This would be better to evolve on a case by case basis (as determined by ongoing enforcement of the Code or in forums such as alternative dispute resolution schemes), similar to the common law. Anything drastic (like a general ban on commission and various soft dollar benefits, as implemented in Australia through the Future of Financial Advice reforms) is better implemented by legislation. Conflicts of interest can lead experts to give biased and corrupt advice. Although disclosure is often proposed as a potential solution to these problems, we show that it can have perverse effects. First, people generally do not discount advice from biased advisors as much as they should, even when advisors’ conflicts of interest are disclosed. Second, disclosure can increase the bias in advice because it leads advisors to feel morally licensed and strategically encouraged to exaggerate their advice even further. As a result, disclosure may fail to solve the problems created by conflicts of interest and may sometimes even make matters worse. In short, disclosing conflicts of interest is often not sufficient for managing these conflicts and can even worsen the effects of these conflicts. It is not appropriate for businesses to have their own code of ethics in place of the standards imposed by the Code. All advisers should be subject to the same minimum standards. Businesses can choose to impose a higher standard on its advisers. But this should be a separate matter to the standards of the Code. I have a proposal for existing RFAs who want to be grandfathered into the new regime without meeting the minimum educational requirements. I propose imposing an obligation to have a random sample of the advice they provide reviewed anonymously by a panel of their peers every 12 or 24 months. My ideal scenario would involve the advisers in question providing a redacted list of commissions they have received from new insurance placements. (This information should not be hard for them to acquire: at the very least, they could contact each of the insurers they have agency agreements with.) From this list, the panel would select a random sample of, say, 3 or 5 of these placements. The adviser would then need to provide written evidence of the advice they have provided – clearly setting out the advice, the reasons for the advice, and the risks associated with the advice (redacting confidential information as appropriate). If the advice is satisfactory to the panel, the adviser would be able to continue to operate. If the advice is not, the adviser would need to update the advice and resubmit to the panel (not to mention, contact the client accordingly). This directly addresses consumer outcomes and quality of advice. If this is too onerous for these advisers, then they can always acquire the educational requirements that new advisers need to satisfy. I do not believe that providing good quality financial planning advice is especially difficult. The biggest hurdles to providing high quality advice are the institutional and commercial pressures that are systemic in this industry. I think the most important aspects of this code are those that relate to Conduct and Client Care. And frankly, I think that the content of this Code will be less important than ensuring the terms of the Code are effectively enforced by regulators, members of the industry, an informed media, and engaged consumers alike. Increasing educational standards for advisers providing “financial planning services” (as referenced in the Consultation Paper) will reduce access to advice and significantly increase compliance costs, with the compliance burden being borne by those individuals who want to participate in the industry in the future. Ultimately, Kiwi consumers will pay this cost. You will not see an increase in the quality of advice that will justify this cost. The net result may even be worse advice for Kiwis, as it will unnecessarily weight the provision of advice towards product advice rather than strategic, holistic advice that considers the entirety of their circumstances, needs, and objectives. Thank you for considering my submission. I am happy to provide further feedback.